We are pleased to offer the latest in digital retinal photography. 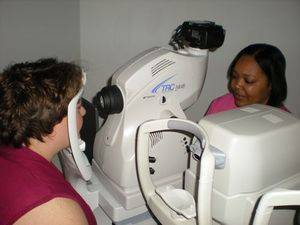 Digital Retinal Screening technology allows us to take high resolution digital photographs of the interior portion of your eye called the retina. This new technology can greatly aid the doctor’s ability to accurately diagnose and document mant diseases. It also provides a baseline for comparison with previous and future visits.